The childcare facility and kitchen are getting a makeover! There are a so many things that Elzanne and her team are doing for Sisters Incorporated and we are just so grateful towards them. 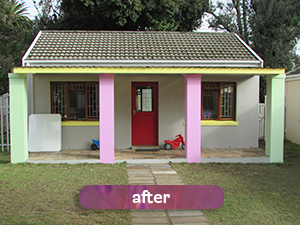 The Child Care Facility has been painted inside and outside. The look on everyone’s faces were like “WOW”!!! Out with the old and in with the new. The room even looks a bigger. Elzanne and her team have done an amazing job! She purchased new furniture, the built in cupboard will be done this coming Saturday, and the rest of the educational toys and stationery will be coming later this week. 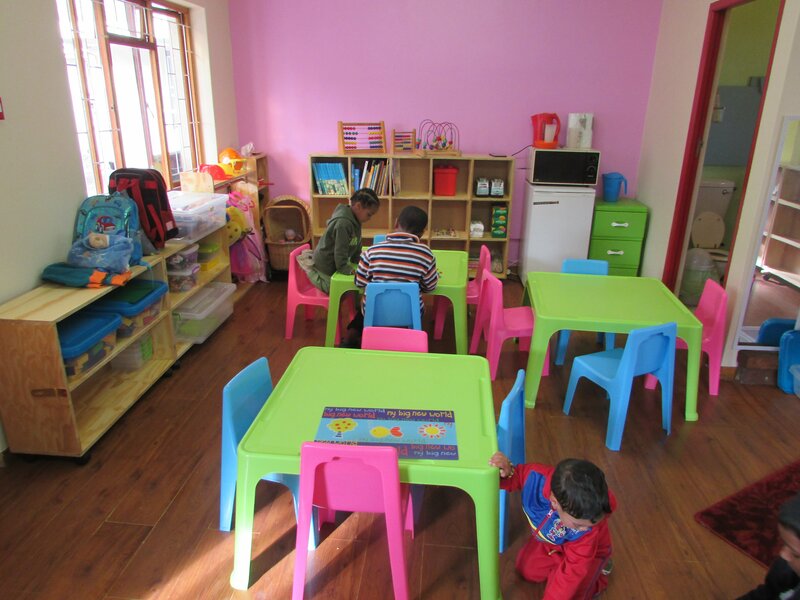 All the old goods were donated to Baviaanskloof, a struggling crèche in Mitchell’s Plain. Tony will start on Monday 29 June to take out the cupboards in the scullery and Dynamic flooring will start on Tuesday 30 June. Elzanne’s team built up the wall in the pantry. < DHL Stormers support women and celebrate moms at Sisters Incorporated!